Podolski touches down in Japan to hero’s welcome – Royal Times of Nigeria. 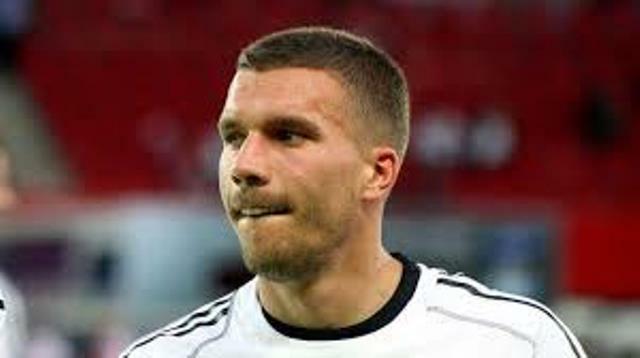 Hundreds of football fans greeted former Germany international Lukas Podolski as he touched down on Thursday in Japan, ahead of his time playing in the country’s national J-League for Vissel Kobe. Podolski arrived wearing a cap with his nickname ‘Poldi’ written in Japanese on the front, before signing autographs, taking selfies with fans and even posing for photos with babies. At a later press conference in a large hall crammed full of journalists, Podolski said his new team was aiming to qualify for the Asian Champions League. Hiroshi Mikitani, whose e-commerce and internet company Rakuten owns Vissel Kobe, said it was “an honour” for the team and the league to have a star like Podolski in Japan. Kobe, who are currently sitting in 11th place in the 18-team Japanese top flight, will hope the 2014 World Cup winner can lift the performance of the team, who have just lost three games in a row. Podolski has played outside the Bundesliga since 2012 when he ended a second spell at Cologne to move to Arsenal, and in 2015 to Galatasaray. The left-footed attacker played for Germany from 2004 until announcing his international retirement in August.